The 11th edition of the National Theatre Festival will be held from 19 July to 2 August, with performances at a number of Cairo’s theatres. 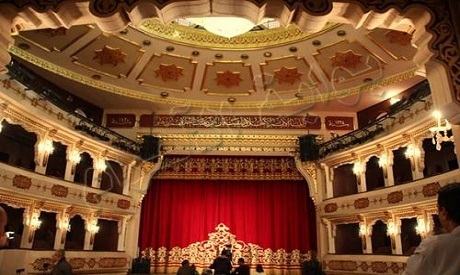 The theatres include the Main Hall of the Cairo Opera House, the Republic Theatre, the Hanager Centre for Arts Theatre, the Artistic Centre Theatre, El-Midan Open-air Theatre at the Cairo Opera House, in addition to national theatres: Miami, Metropol, El-Ghad, Opera Malak, El-Qawmy, as well as Salah Jahin Hall, the Higher Institute of Dramatic Arts Theatre, and the Cultural Centre Theatre. The annual festival will offer 19 prizes in the official competition, worth a total of EGP 375,000. It will include four main discussions at symposia held at the Supreme Council of Culture. The Sudanese theatre symposium will be held at the National Theatre in Attaba. There will be 37 shows as part of the festival, which is organised by the Ministry of Culture and presided over by Hassan Attia.